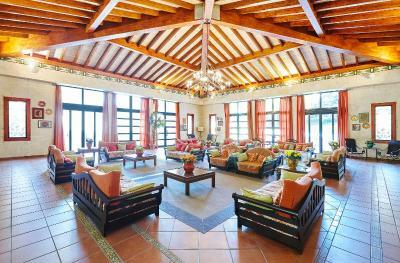 Lock in a great price for PortAventura® Resort - Includes PortAventura Park Tickets – rated 8.1 by recent guests! Pool was nice with the sand. Breakfast was good. Location was convenient. The theme was great- old west everything. Could easily walk to the theme park. Breakfast was included and is a decent buffet. good breakfast, not far from Salou center & see for the evening walks, you can go to PA via nice small train. Getting breakfast was an extra bonus. The hotel was immaculate. Location to park is perfect.you can go back quickly to bedroom if needed. The buffet for both breakfast and evening was very good.Expensive but then all the restaurants and eating places are very expensive . Entry the park was very quick and accessable. Parking was free. 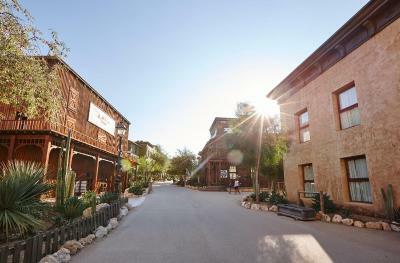 The the hotel's territory is pretty big, and the hotel is located in close proximity to Port Aventura. 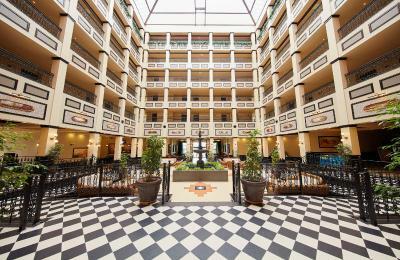 El Paso hotel: Close to the park (7-10 min walk), nice swimming pool, well-organized and substantial breakfast. Good value for money. you can visit the park the whole day after checkout. 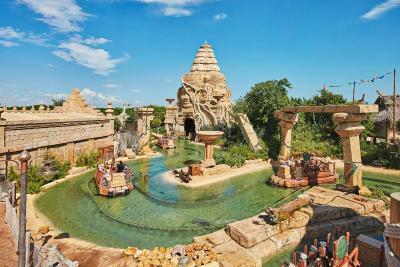 Great place to go and try the big rides in PortAventura. The pool at the hotel was great and we enjoyed the hotel ant the area alot. Nice swimming pool, very clean. Life guards available and actually watching the people in the pool. Right next to the park (my son wanted to go all the time!!). Entertainment available. 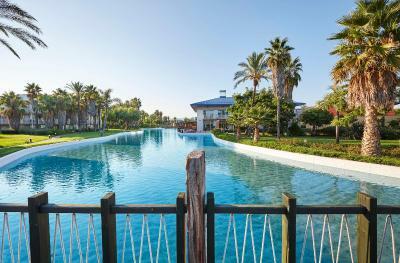 PortAventura® Resort - Includes PortAventura Park Tickets This rating is a reflection of how the property compares to the industry standard when it comes to price, facilities and services available. It's based on a self-evaluation by the property. Use this rating to help choose your stay! 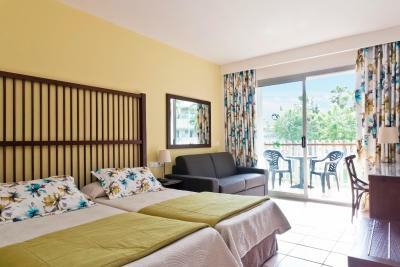 One of our top picks in Salou.Featuring accommodations in one of PortAventura® Resort’s four themed hotels, this property includes free unlimited access to PortAventura Theme Park. 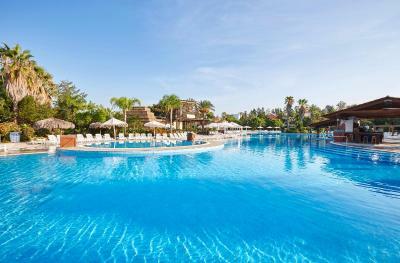 All hotels have an outdoor pool, sun terrace and free Wi-Fi zone. Barcelona is 1 hour away by car. 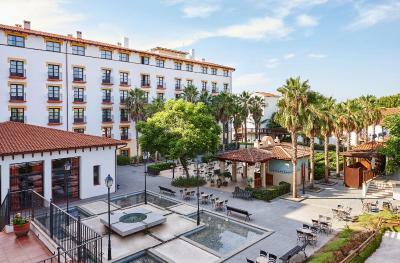 This roulette-style package means you receive e-mail confirmation of your allocated hotel the day before you arrive, enjoying the best prices PortAventura® Resort has to offer. 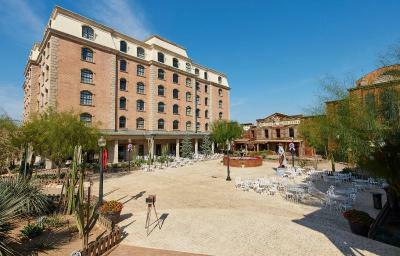 Exciting hotel themes include a tropical paradise and America’s Far West. 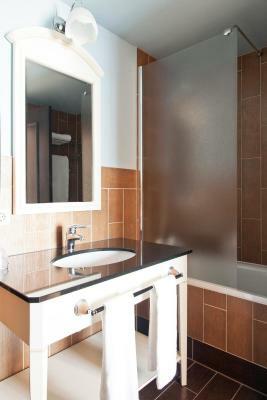 Smart air-conditioned rooms have a TV, safe and a private bathroom. 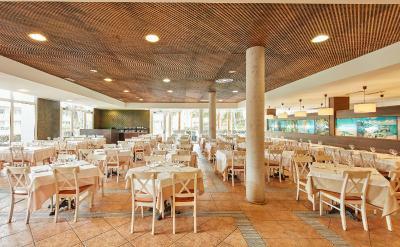 Each hotel has distinctive buffet and à la carte restaurants. This rate includes free unlimited access to PortAventura® Theme Park and a 30% discount for Costa Caribe Aquatic Park (please check the parks' opening calendars). 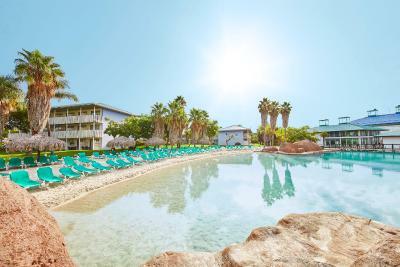 For an extra charge, guests can also access the Wellness services of the Hotel PortAventura and the Hotel Caribe, which include a sauna, hot tub, steam baths, indoor pool and gym. PortAventura® Resort has a train station with a direct lines to Barcelona and Valencia. A7 Motorway is 1.2 mi from the resort. AVE Station is 20 minutes' drive away. 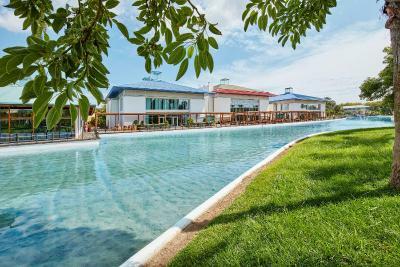 Reus Airport is a 10-minute drive from the property. Barcelona Airport is 1 hour away by car, train or bus. 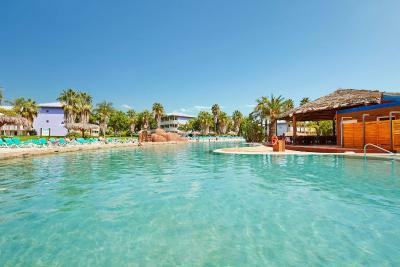 When would you like to stay at PortAventura® Resort - Includes PortAventura Park Tickets? 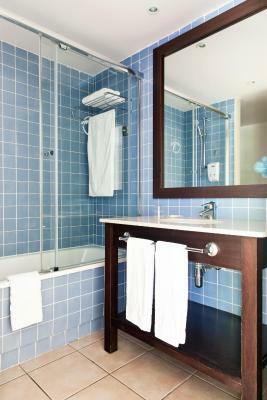 You will receive an e-mail confirming your room allocation after 14:00 the day before your arrival day. 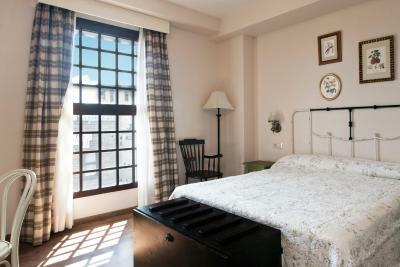 This quadruple room features air conditioning and mini-bar. 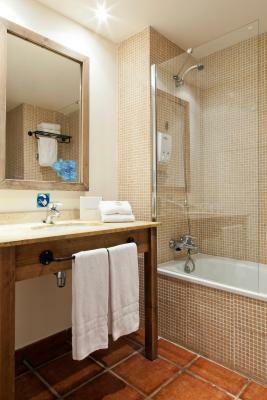 This triple room features air conditioning and comes with a mini-bar and satellite TV. 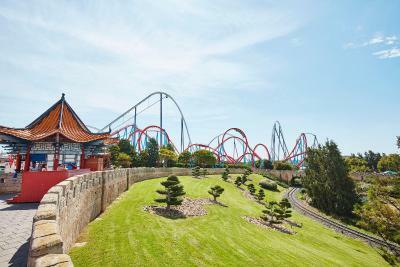 -	PortAventura Pass: pay in the park using your room key. House Rules PortAventura® Resort - Includes PortAventura Park Tickets takes special requests – add in the next step! PortAventura® Resort - Includes PortAventura Park Tickets accepts these cards and reserves the right to temporarily hold an amount prior to arrival. 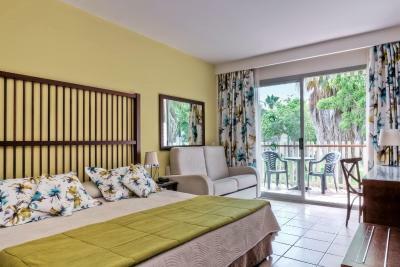 Please note, this offer includes accommodations in any one of PortAventura® Resort's 4 hotels. On the day before your arrival, after 14:00, you will receive an e-mail confirming which hotel you have been allocated to. For reservations on 24th or 31st December, a buffet dinner is included. no facilities to prepare coffee or tea, no kettle/spoons, cups. The hotel wasn’t brilliantly sign posted and the theme park staff were very slow at ride turnarounds. We arrived by train but there was no information as to where to go to find the hotel .Also the walk up to the hotels is very long with your suitcases.There needs to be a notice saying where to go and how far it is to walk.Also a phone to call a taxi or shuttle bus. Once we reached the El paso hotel we asked there and they provided a shuttle bus free of charge but this information should be on a notice board at the train station. Mosquitos !! They have a huge problem with them at the hotel and in the theme Park. Lots of standing water in ponds and the attractions to blame. Whole family was eaten alive!! not just us either, lots of other visitors were the same. My wife's wallet (with not-so-small amount of cash in it) was stolen. We informed the personnel, but they were unconcerned - no sympathy, no remorse whatsoever (I can only guess that was not a rare incident, and the staff got accustomed to such complaints). Our impression was spoiled to say the least. Lottery system: when you book any of Port Aventura hotels, you get the final confirmation with hotel name just the day before check-in. Our draw was El Paso, and we got a tiny room without a balcony for 3 adults, (Chapulin building) with beds standing very close to each other. It was OK to spend 2 nights, as we spent most of the time outside, but absolutely nothing special. Evening kids' show at the hotel could be more premium for such a famous and pretty expensive place. great location. for a park, the hotel was ok. Good breakfast. 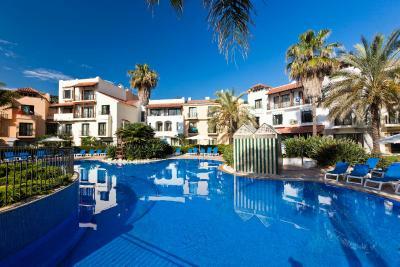 If I were to choose now, I would choose a hotel in Salou near the sea. There is bus running from Salou Promenada to the park, its 5 minutes.